This menu for vegetarian and most famous of Thailand, it’s easy for cooking and delicious. And then use in period Kin Jay festival. That is good idea for Vegan. 1. Pound the spice mixture ingredients in a mortar until ground evenly. 2. Peel the potato and cut all the vegetables into 2 x 1 cm parts. 4. Wash, clean and slice the mushrooms in half. 5. 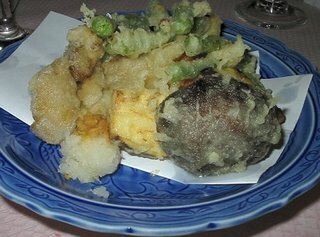 Split the batter in four portions, one for each of the vegetables and make certain the entire piece of vegetable is covered in the batter. 6. 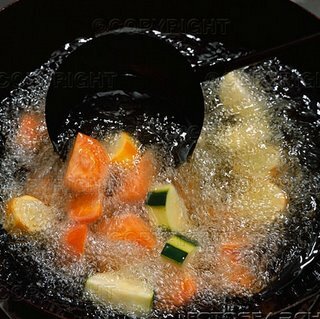 Heat the oil in a wok and fry manageable sized portions until golden brown. Enjoy your cooking for Phak Chuppeang Thod is fried vegetables in batter recipe.